Thank you VRy much to everyone that stopped to chat with Samsung Business and yours truly at the NAB Show in Las Vegas last week! I attended the show with Samsung Business to discuss the latest innovations in media, entertainment and tech (including Samsung's new 360 Round). And while the future of tech is bright, your past digital life may be a little less so. Check out my tips in this New York Post article about what to do if your old social media posts come back to bite you. 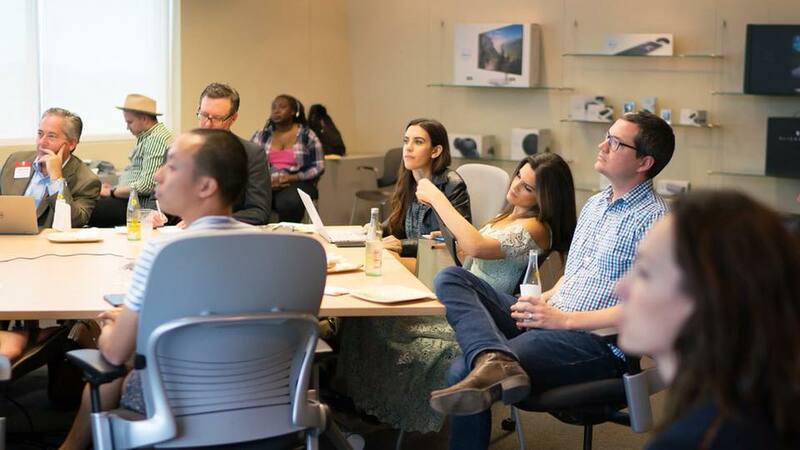 I couldn't be prouder to spend the day with my friends at Dell HQ in Austin last week learning more about their commitment to innovation and design. But one of my favorite things about Dell is their commitment to sustainability. Like the fact that Dell is committed to removing 16,000 pounds of plastics out of the ocean. Learn more about their sustainability initiatives here. It's been an exciting summer exploring innovation with Samsung. Back in June, I had the chance to check out FedEx's new, first-of-its-kind Samsung-authorized repair center in the heart of New York City. I also talked to Samsung director of marketing Jon Wong about the costs associated with losing a phone for both the individual and businesses. Can't imagine a reality without your phone? (Me either.) So I spoke with Accenture's wearable technology leader and pioneer Brent Blum about the best use cases for virtual reality and augmented reality. And when it comes to VR, it's no surprise that Samsung leads the pack. In July, I got to tour Samsung Bus, which features everything from the Samsung DeX station to the Knox security platform to virtual reality. The bus will be going on a nationwide tour to spotlight Samsung's latest products and business solutions, so stay on the look out! How do you solve a big enterprise problem on a small watch screen? I talked to mobile app development company, Mokriya, about how technology should only be integrated as a problem-solving tactic. Check out full interview here. I also had the pleasure this week of talking to San Diego International Airport's director of innovation about how virtual reality is taking flight. Check out my interview with Rick Belliotti here.